In addition to Illinois Archery Hunts, ITB also offers Illinois Gun Hunts. So if you are looking to gun hunt Illinois, don’t let our name fool you. 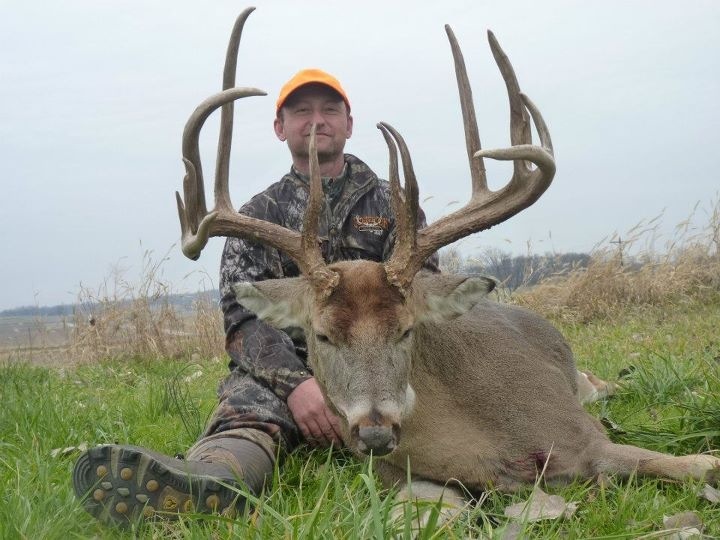 We have some of the best Illinois Gun Hunting and each year our gun hunters take home some really nice trophy bucks! Our Illinois Gun Hunts take place during the first firearm season in Illinois. This 3 day season always takes place the weekend before thanksgiving. This is the BEST time to gun hunt Illinois! Currently, the Illinois Gun Season includes two additional times that you can gun hunt Illinois. The second firearm season, that is a 4 day season two weeks after the first Illinois gun season and the late muzzleloader only season that is also four days, in mid December. So with three seasons for Illinois gun hunting, you might be asking why doesn’t ITB book hunters for all three seasons? The answer is similar to why we don’t bow hunt our farms all season long; to minimize the hunting pressure on our farms we manage! ITB has learned over our 20+ year history that you can not hunt a farm every single day of every season. So, we limit the number of weeks as part of our trophy management program. We only bow hunt our farms for three weeks, followed by 3 days of gun hunting, during the first Illinois Gun Season. This is one of the reasons why, year after year, we kill the bucks we do. Since you will be hunting from the middle to the end of November, you will be almost guaranteed to have cold weather. You should expect morning lows bellow freezing and daytime highs around forty degrees. You should also be prepared to hunt in the rain. Since the season, and the hunt, is only 3 days long, you want to spend every bit of daylight in the tree. You are not going to shoot a booner sitting back at camp! Come prepared, control your scent, and hunt dark to dark to increase your odds of bringing home an Illinois monster! Our Illinois Gun Hunts are conducted mostly from tree stands. We have ample stand locations on each farm and use a variety of hang on deer stands. 90% of our tree stands are Millenium and Muddy hang ons and they are accessible with ladder sticks. They all have life-lines for enhanced safety as you climb. About 10% of our treestands are ladder stands, including some double ladder stands. We also have some ground blinds on a couple farms. If you have any special stand requirements, please let us know when you book your hunt so we can try to accommodate. On our “deluxe” and “refuge” hunts, your stands will already be hung at heights averaging 15-20 feet. So if you are thinking about gun hunting in Illinois, we would love to host your next Illinois Gun Hunt. 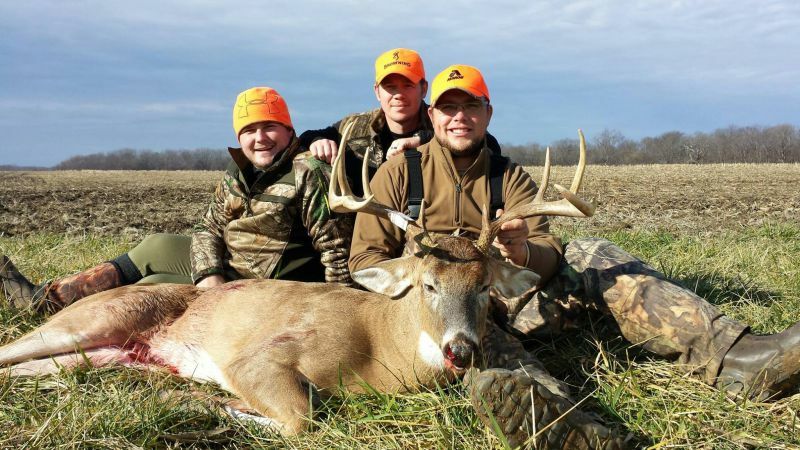 To learn more about Illinois Gun Hunting, visit our deer hunting tips page or contact us today to book your next Illinois Deer Hunt!